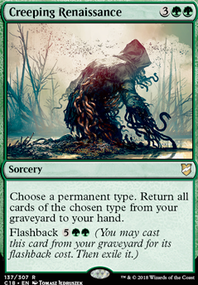 What happens to the extra green mana with chromatic lantern and vernal bloom? I see Vernal Bloom in the maybeboard. What are your thoughts on the card for this list? I don't really think that Emrakul + Xenagos counts as a combo, more like a synergy to win the same turn you play it. But to be honest, og emmy herself easily win - it's basically un-removable, can attack your second turn you take afterwards, and your opponent will probably be under 15 life. If they manage to survive, they will have to either absolutely wipe their boardstate or all their lands. Have you considered Vernal Bloom ? It's very good with this new arbor elf fad. I don't like the fact that there is black here. Including the graveyard is incredibly cluncky, and if the graveyard isn't there, there isn't any reason to have black. Mono Green Elves ramp would work better or some form of Utopia Sprawl / Vernal Bloom / Arbor Elf . I have a deck, All 3, Really? That's Overkill that us just a.little bit popular, maybe you've seen it. In any case, I have a massist discussion on how to get the most man's the fastest. GreenTrampler on It's surprisingly easy being green. Cool list. 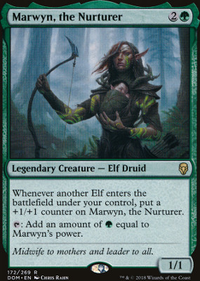 Maybe Multani, Yavimaya's Avatar would be a better general? 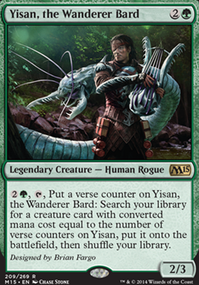 It's a bigger, cheaper beatstick with ways to get itself out of your graveyard, which gets around Commander Tax(I run her as a Voltron commander; it comes in handy). Greater Good is an amazing card draw card. 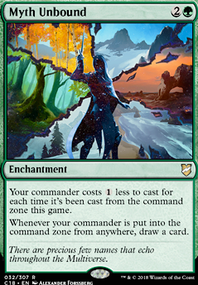 With Multani or Molimo, you're usually drawing at least ten cards at instant speed. Most games I'm drawing twenty or more. Crucible of Worlds and Ramunap Excavator gets the lands out of your graveyard. 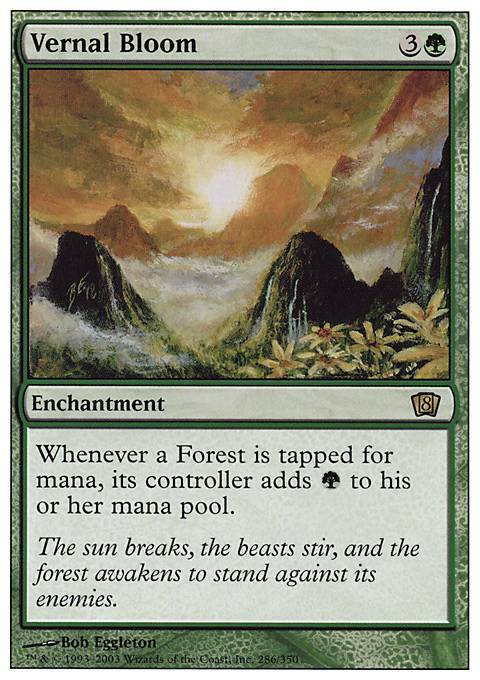 Something like Perilous Forays is great with lots of tokens lying around, and can turn a board wipe into lands for you. Vernal Bloom is great in a mono green deck. It can help your opponents, but most of the time it's only for you. Any of the Garruks would be good, though Garruk Wildspeaker and Garruk, Primal Hunter seem best since you're going for a land based strategy. Heartwood Storyteller seems like it would fit well in here. 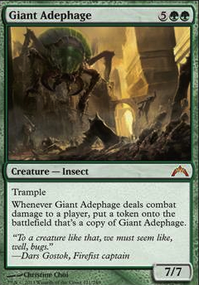 Nature's Wrath is specific colour hate but very entertaining when someone has an Urborg, Tomb of Yawgmoth out. 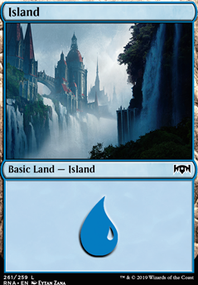 Also with the mass amount of card draw you may want some more ways to slam your lands down faster: Azusa, Lost but Seeking, Exploration, Burgeoning, Gaea's Touch, Oracle of Mul Daya, Vernal Bloom (making them twice as valuable), etc.